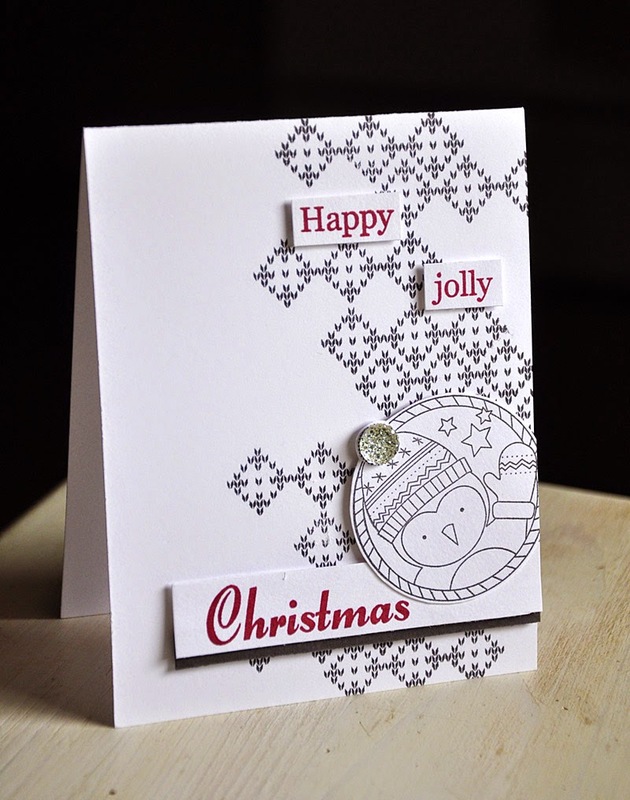 Hello and welcome to the fourth day of the Papertrey Ink November countdown! 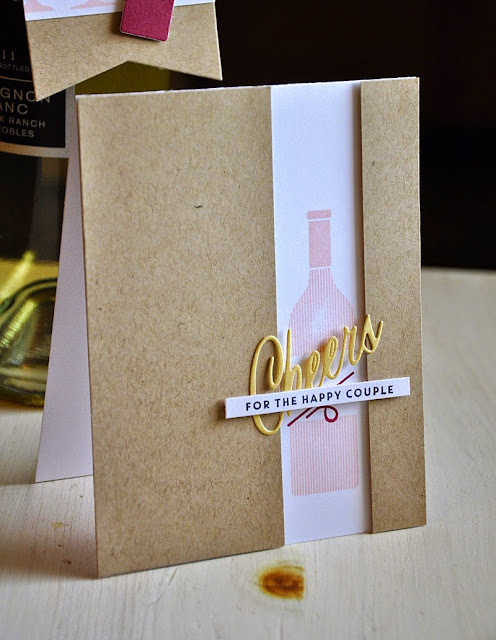 Today's group post is all about the new set Uncorked and coordinating die. 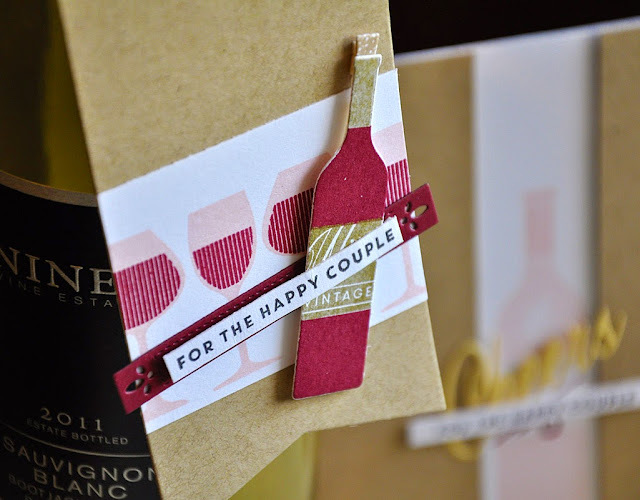 The wine bottle tag die is one of my all time favorites and I'm thrilled to finally have a stamp set to compliment it! I present to you a simple yet elegant wine wedding gift ensemble. 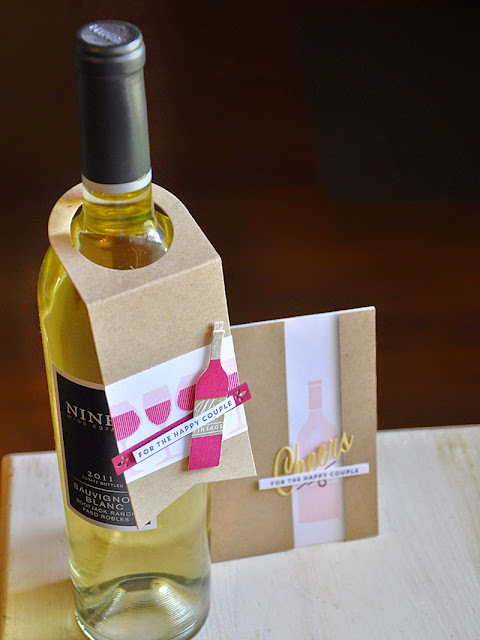 To set the scene I began by stamping a strip of cardstock with wine filled wineglasses in sweet blush and scarlet jewel. 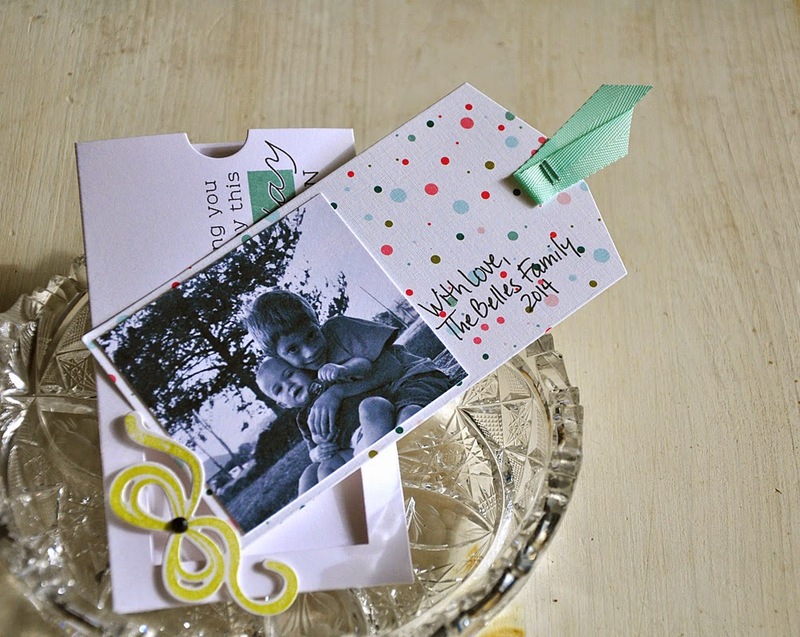 I then attached it to a kraft die cut wine bottle tag. Embellished the tag even further with a die cut miniature bottle of wine, stamped in scarlet jewel and gold, which I tucked in behind the sentiment banner. 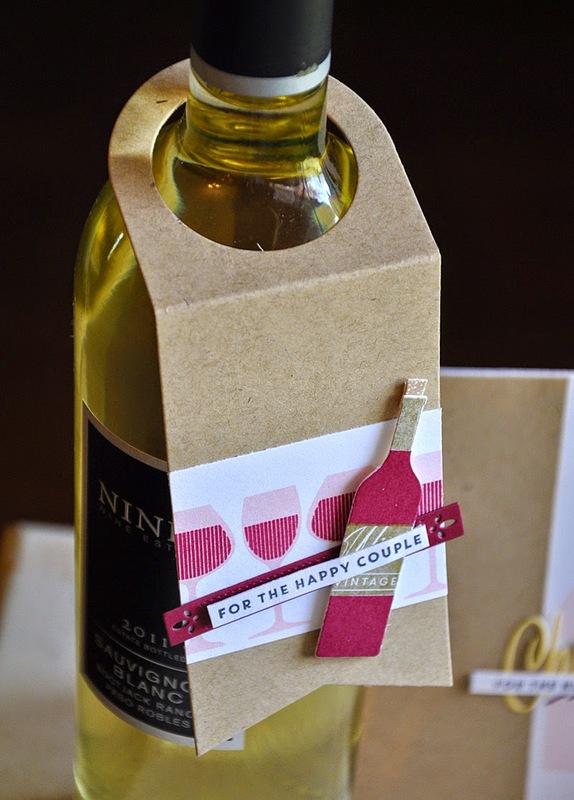 I just love how the cork die cut was made to be adhered behind the bottle top! 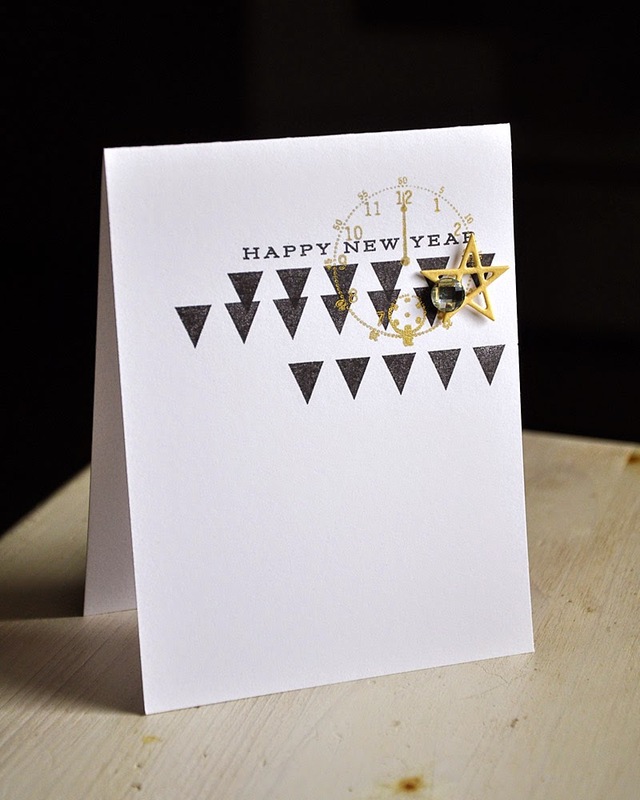 Included in the ensemble is a sweet and simple card. A sweet blush wine bottle (top and bottom) was stamped directly onto the white card base. 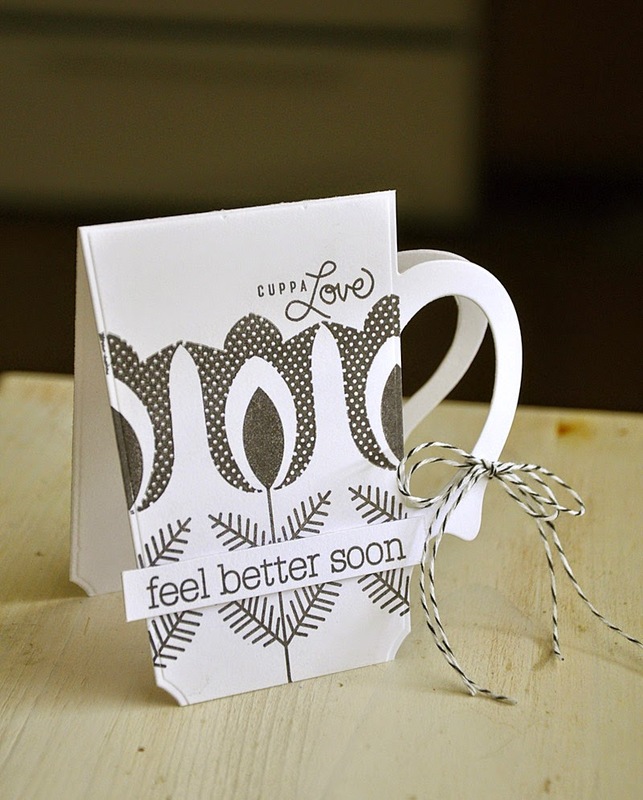 Around it kraft cardstock panels were attached with dimensional adhesive. Two layers were attached across the kraft panels and over the opening. 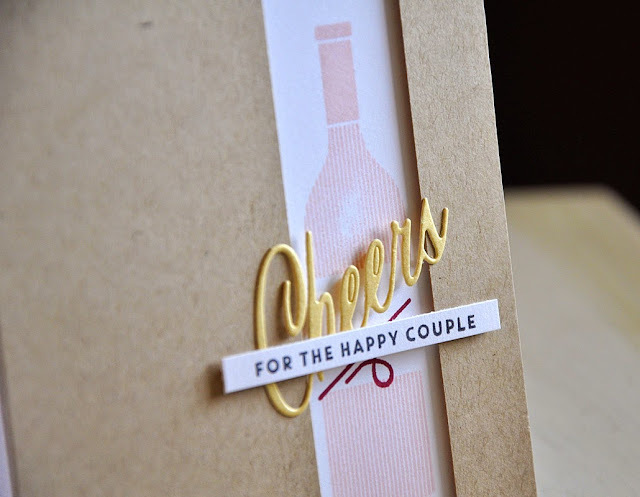 "Cheers" was die cut from gold cardstock. Well, that concludes my look at Uncorked. 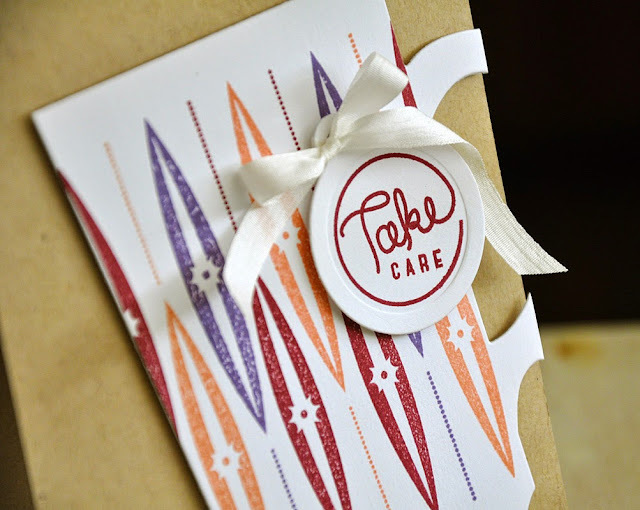 Just remember... these products will be available for purchase through Papertrey Ink, beginning November 15th. Hi there! Welcome to day three of the November Papertrey Ink countdown. I'm joining the design team today in sharing sneak peeks of the new Monthly Moments: November. I just love the little bits and pieces included in this set! I had fun exploring the possibilities of each of them and I think I've come to some pretty fun results. November is a month to count your blessings. 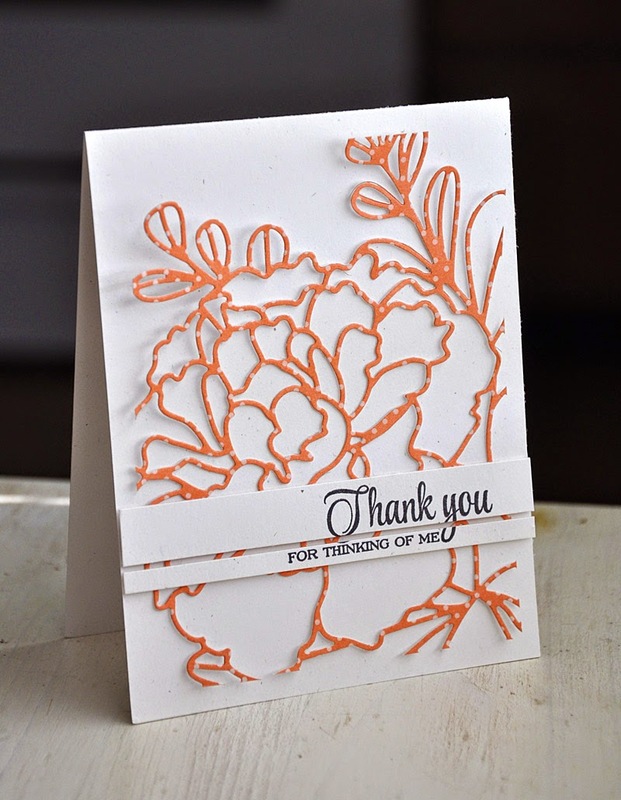 Not your typical sentiment for a thank you card, but I thought this would be a unique way to share how grateful you were for someone in your life by simply listing a few blessings inside. 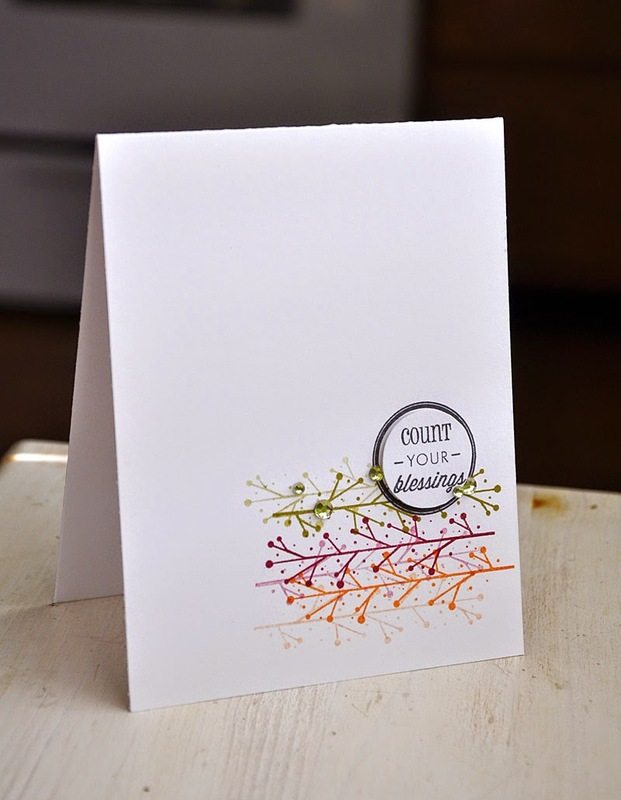 I created a colorful focal point using ink colors ripe avocado, scarlet jewel and canyon clay. I stamped the image in each color twice without re-inking and flipping between each impression. Well, that concludes today's look at Monthly Moments: November. 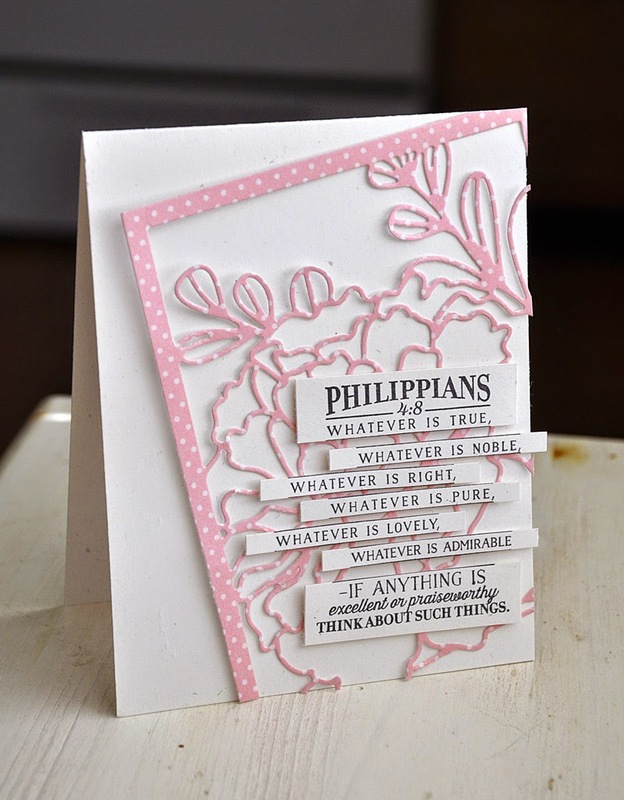 Just remember... this set will be available for purchase through Papertrey Ink, beginning November 15th. Hi there! 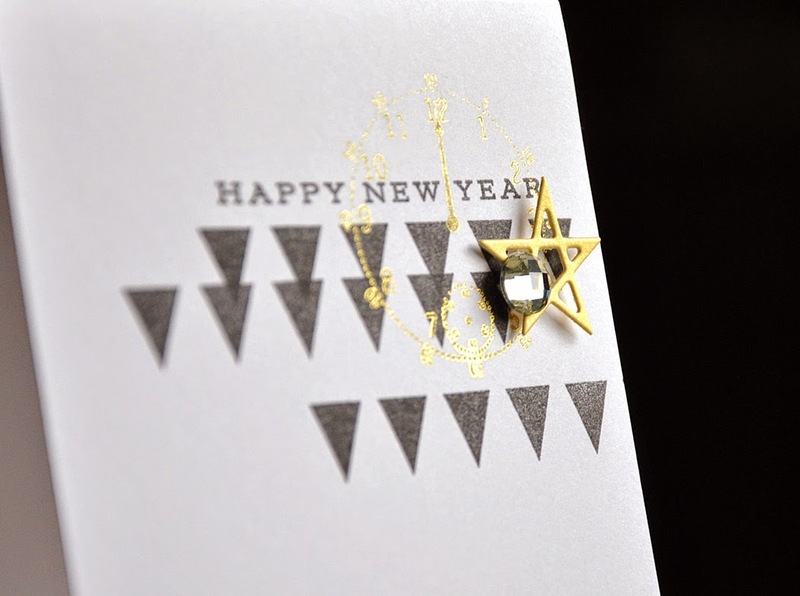 Welcome to day two of the November Papertrey Ink countdown. 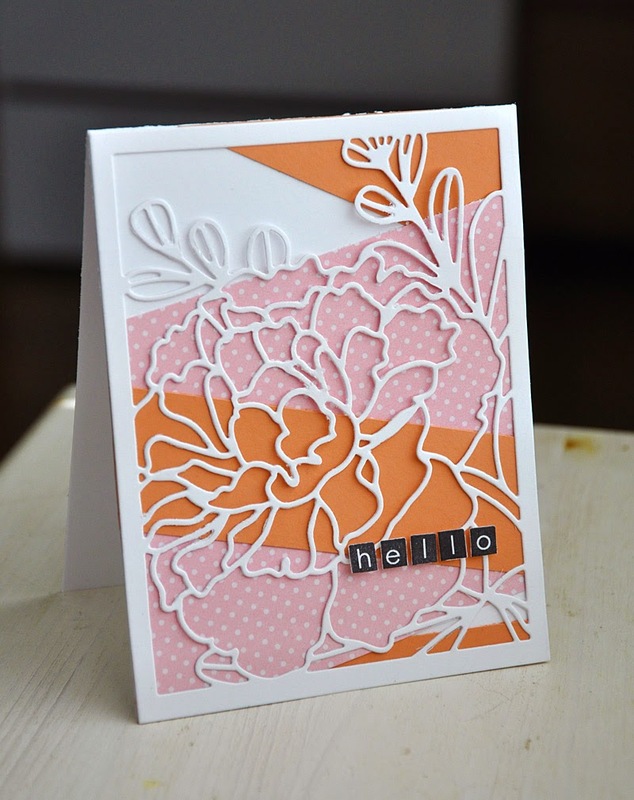 I'm here today to share a few samples using one of this months dies... Cover Plate: Peony Die. This new cover plate was a blast to play around with! And its also one of my favorites of the cover plate series. Hundreds of possibilities are available to you when using this cleaver die, but for you today I've kept things simple. 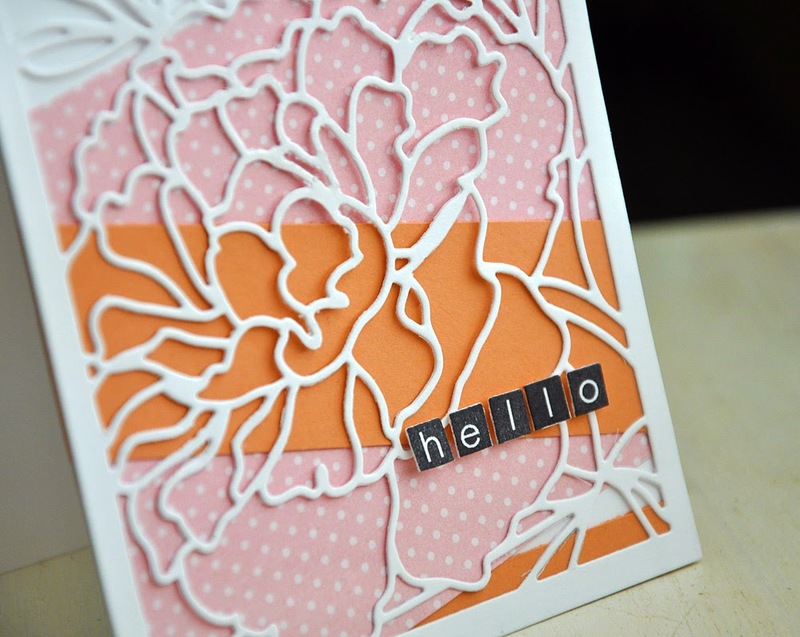 First up, I die cut the cover plate from sweet blush pattern paper. 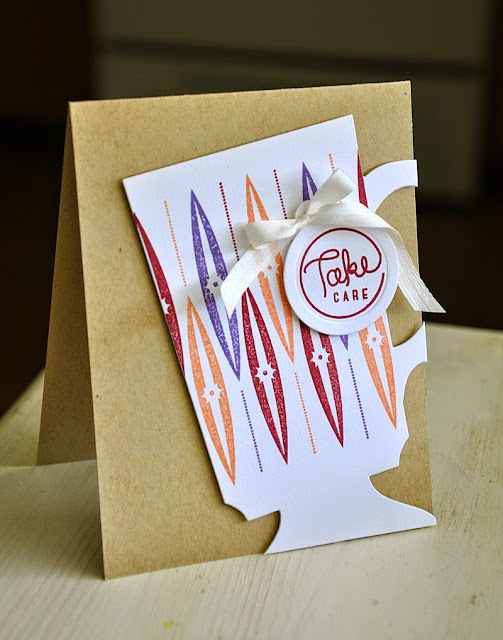 I tilted and attached this to a rustic white card base and then trimmed off the excess. The white background really lets the die cut take the show. 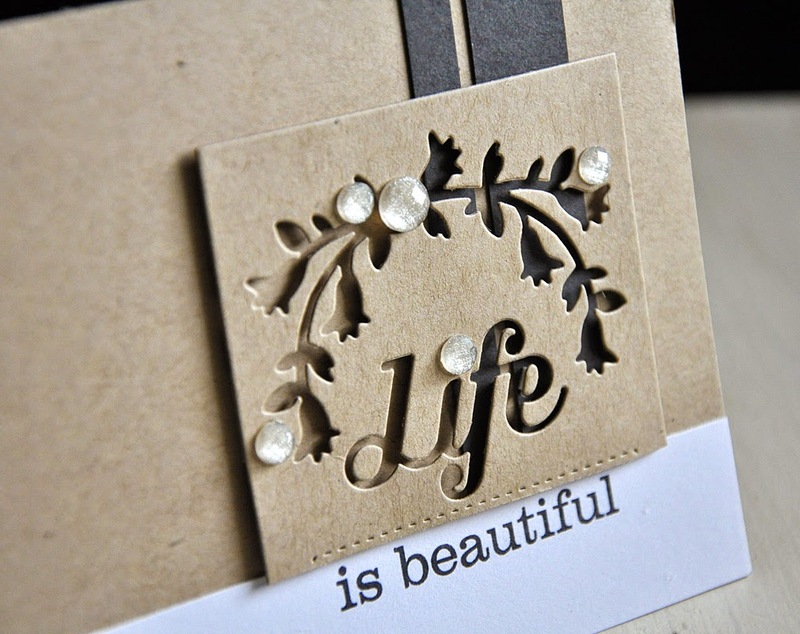 This uplifting sentiment comes from the soon to be released A Cheerful Heart stamp set. 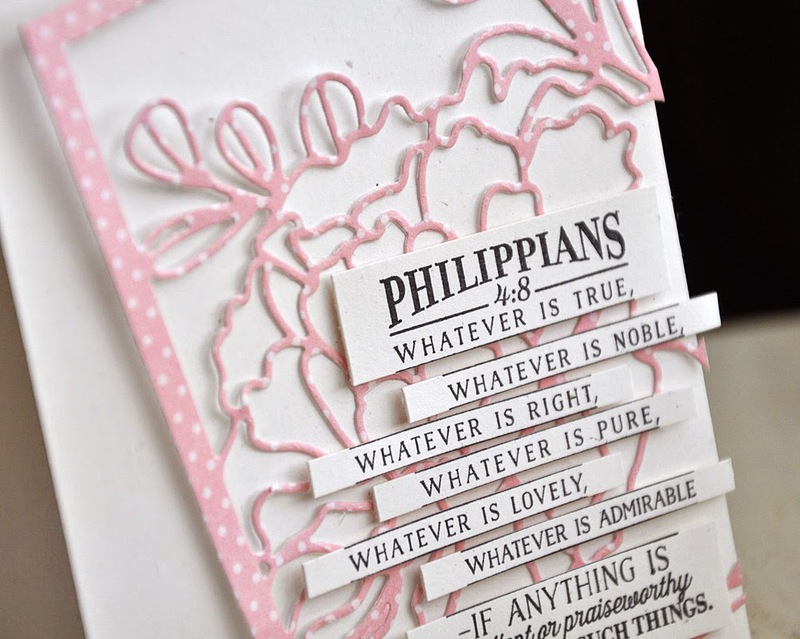 I love taking any opportunity to trim sentiments apart, and this sentiment is perfect for such a technique. 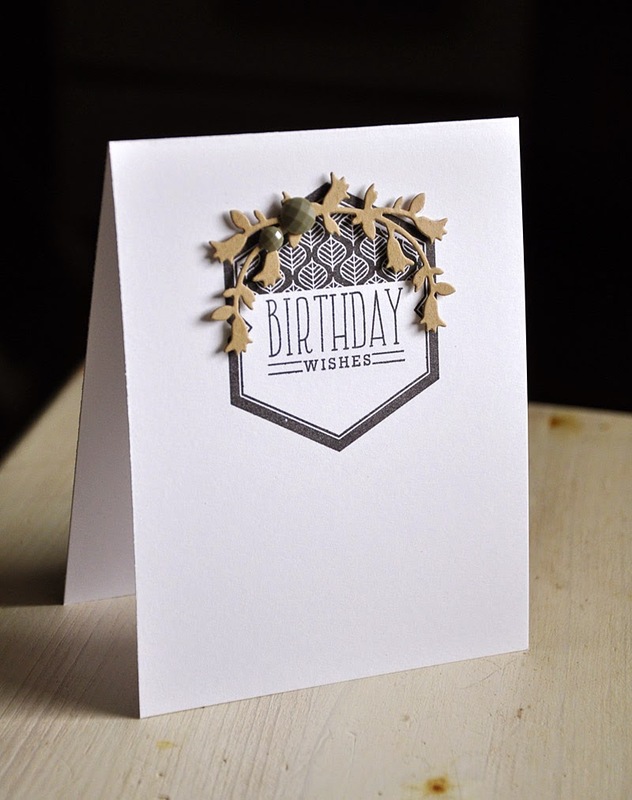 The tilt of the die cut already gives this card a great deal of movement, but the added touch of staggered stacking with the sentiment really takes this simple card up a notch. Again, I die cut the cover plate from pattern paper (melon berry pattern paper to be exact). Before attaching it to the card base, I chose to trim off the thick outer edge. 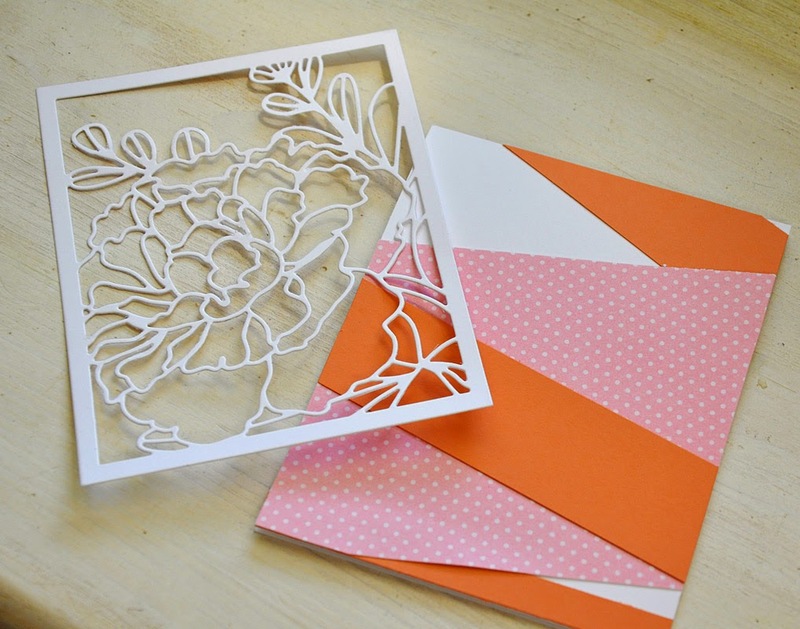 I just LOVE how this idea creates a sort of invisible frame to surround the die cut peony. 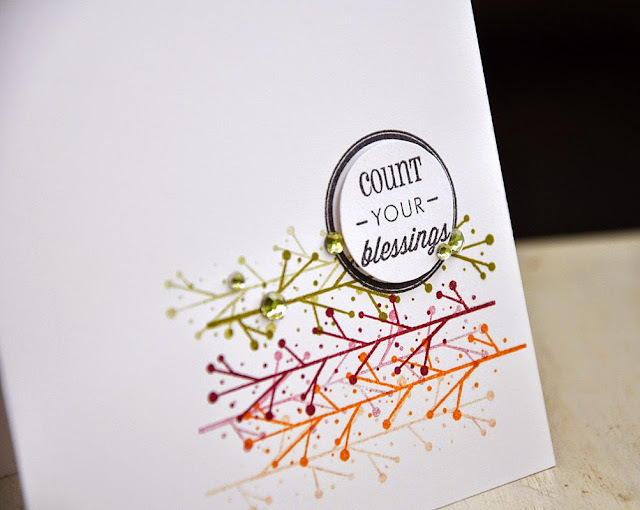 This grateful sentiment comes from the soon to be released Holiday Thanks stamp set. And yep, again with the trimmed sentiments. Here's A Tip... 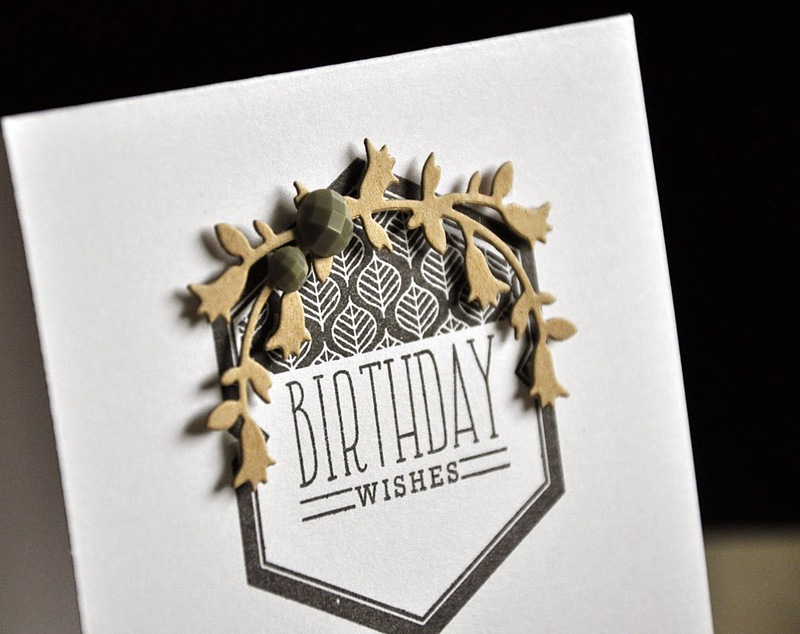 If you're wondering how I attached this delicate cover plate to the card front, I'll let you in on a little secret... 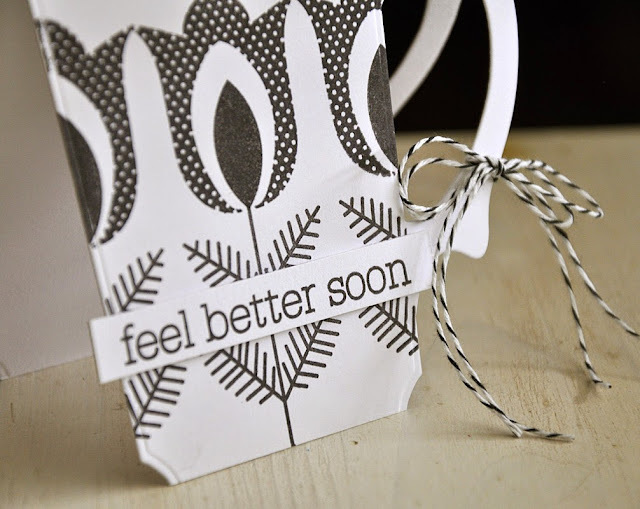 The dimensional adhesive is hidden under the sentiment strips. And so I placed it over a randomly arranged cardstock and pattern paper strip background. 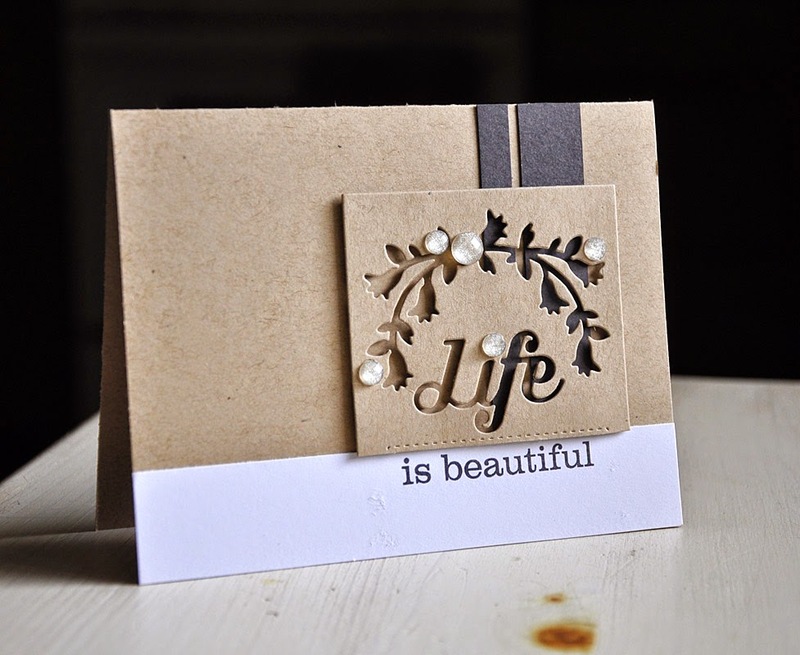 I didn't want to distract too much from the background, so I whipped out the soon to be released Type Strips stamp set and coordinating die and created a simple sentiment. Which I thing compliments the design perfectly. Love it when that happens! Well, that concludes today's look at the Cover Plate: Peony Die. Just remember... all that you have seen today will be available for purchase through Papertrey Ink, beginning November 15th. 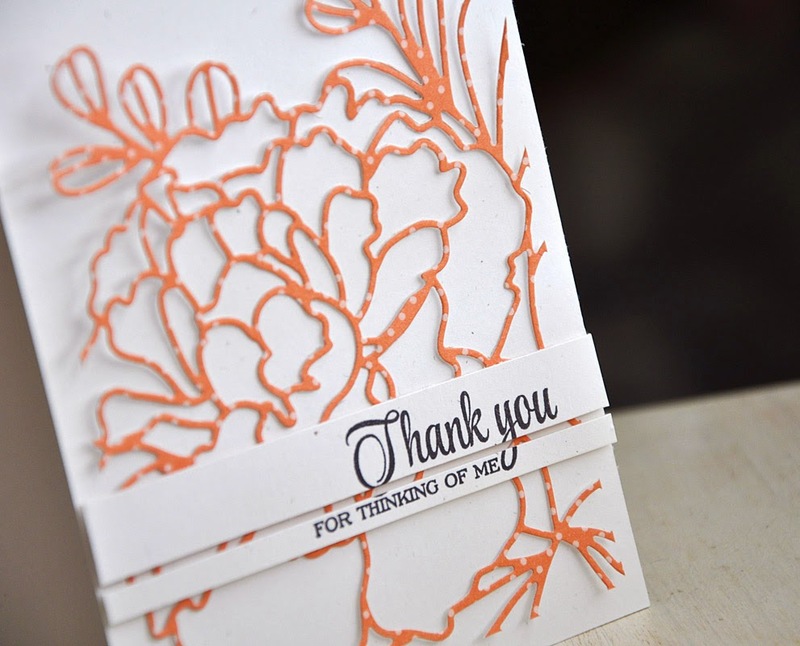 Thanks for joining me today for the November Papertrey Ink Senior DT Challenge. This time around we are bringing back Instant Photo: Holidays! 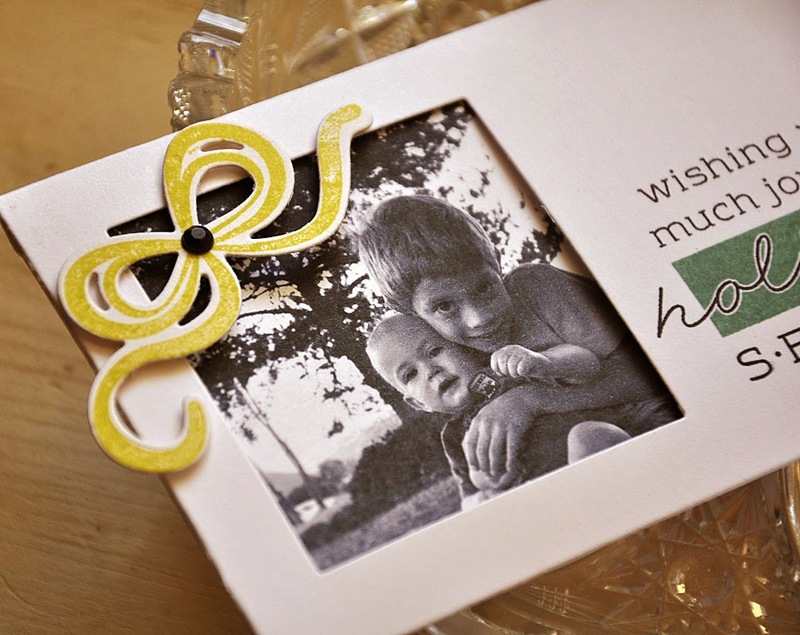 This simple photo pull out card could easily be mass produced in time for the holidays! 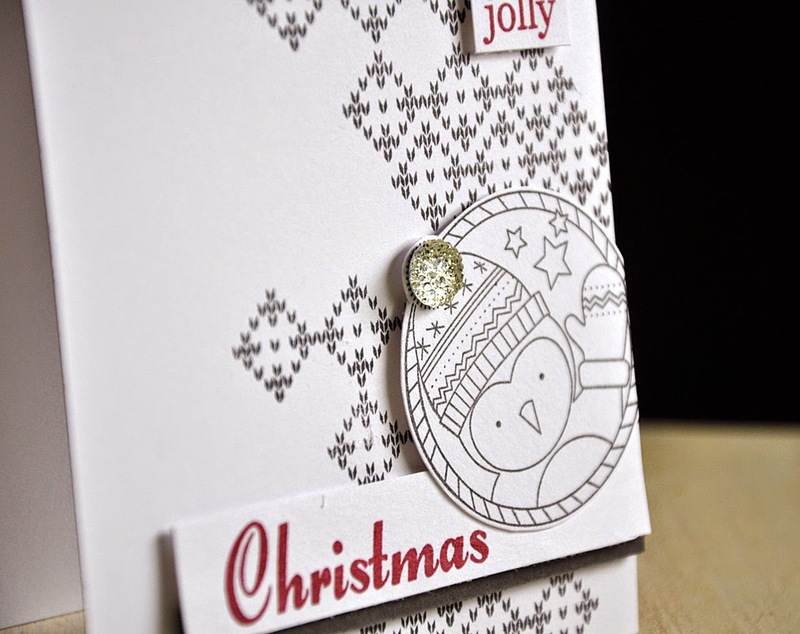 Just a simple white base (die cut using the coordinating die) and a few embellishments to pull it all together. 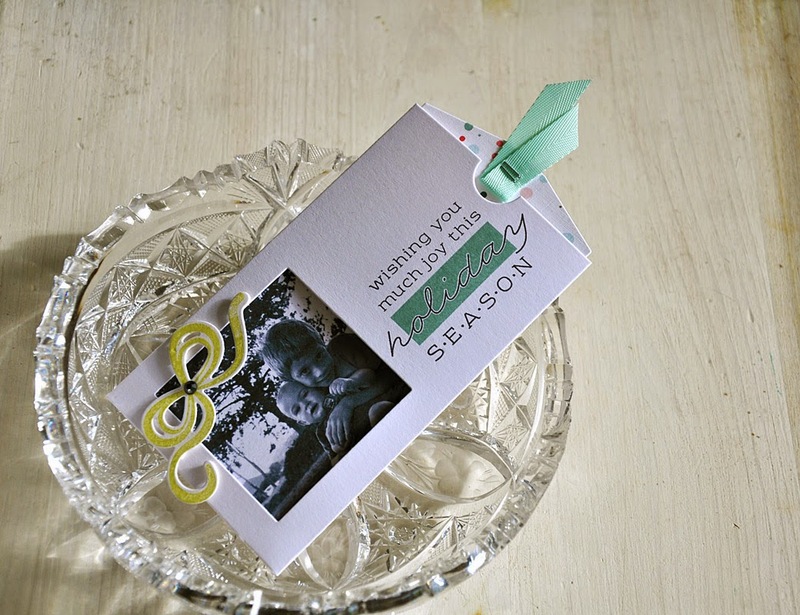 I decided to pair this sweet bow (made using supplies from the MakeIt Market Kit: Tinsel & Tags) along with the sentiment from Instant Photo: Holidays for the front. 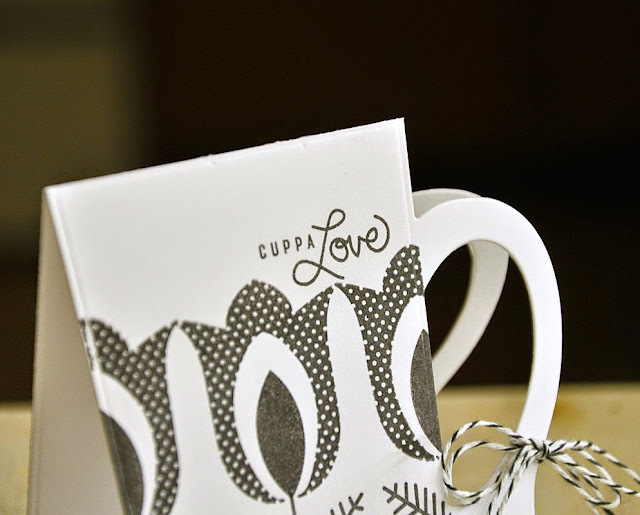 I just love the two tone stamping options included in this set! Here I've stamped the sentiment in black and layered the matching piece in ocean tides. 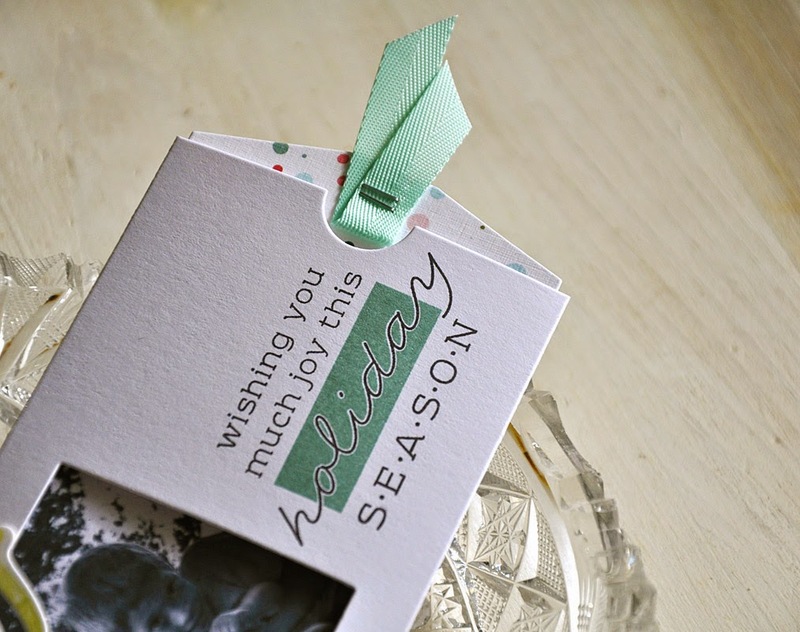 For the inside I've simply die cut the pull out tag from pattern paper (this one is included in the MakeIt Market Kit: Tinsel & Tags), attached a photo and stamped a bit of ribbon into place using my tiny attacher. I just love how the ribbon pops out of the end when inserted.